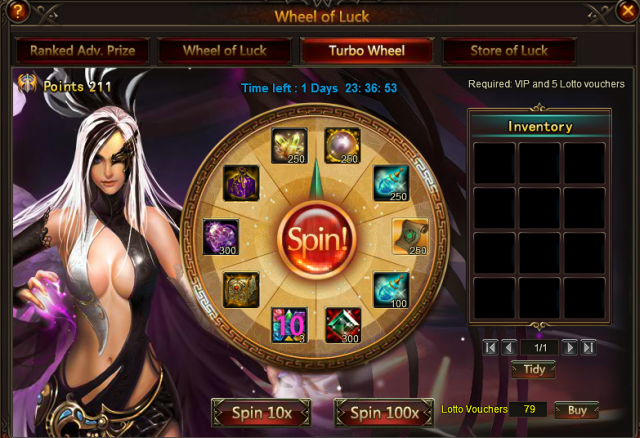 Spin the wheel of Luck to win Purgatory Soul, Angel Tears, Element Scroll, Seraph's Stone, Lvl 11 Fusion Gem Chest, Lvl.11 valuable Gem chest, Grotto Heart, Soulstone, Blessed Stone, Adv. Energy Card,Gem Enhancement Stone and more! Also Khaos Core, Themis's Icon Shard, Nyssa Awakening Stone and more will be available in Store of Luck. Come on! Let's see who can get Purgatory Wand Chest (Legendary) in the ranking. More exciting events are coming up through Jan. 12 to Jan. 15 (server time), check them out in the in-game Hot Events menu now! LoA_Divine War Those Who Stand In the Way of Glory! LoA_Group Buy: Play with Cute Golden Hamster! LoA_Lucky Tree: Brings You Claudia Statue! 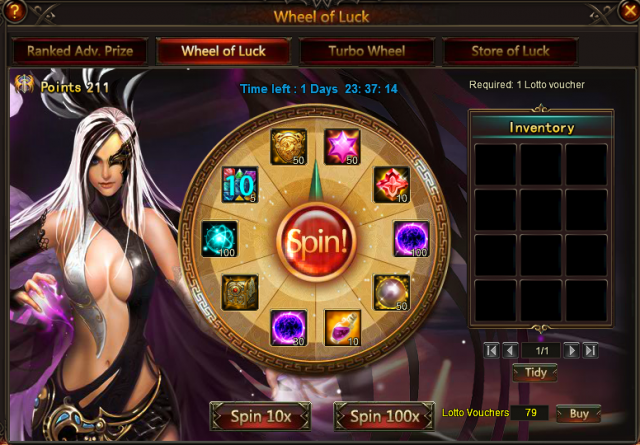 LoA_Wheel of Luck: More Resources Await You!